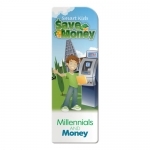 Custom printed bookmarks from Promo4kids.com are perfect to bookmark your brand logo in the minds of your young customers. Your logo printed bookmarks will make great giveaways during tradeshows, book reading events, book festivals and community programs. If you are a book seller or a publication house, you can even gift these high quality bookmarks with any book purchase at your store or online store. Believe us, bookmarks are simple and effective way to market your product, event, brand logo and a cause. You can bulk order these promotional bookmarks to save on investment. Shop today to receive some exclusive price benefits that you don't get elsewhere! Save on e-design proof and artwork assistance because its prices are already included. By giving away these high quality promotional bookmarks, you can easily associate your company with intelligence and education. Plus, they come with an added benefit of regular use. It doesn't matter whether you are ordering promotional bookmarks for your school, company, college group, non-profit organization or church, these items will create an impression of accomplishment and intellect in the minds of recipients. Company gifts - You can print your brand logo on one side of these bookmarks giving away full business information on the other side. You can team these bookmarks with other tote bag goodies including any of our promotional giveaways for kids. Fundraiser Gifts - You can employ your logo imprinted inspirational bookmarks for promoting your charity. Customized bookmarks are great way to promote your brand logo and spread a word about your brand. You sponsor these bookmarks for school fundraisers or community fundraisers. It will help you to spread a word that education is not only about school studies and it is a very broad society affair. Awareness Gifts - All these years you have been pushing your brand logo very hard. What if you try to do it with awareness generation bookmarks? 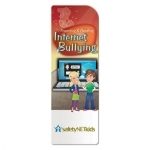 You can easily select from any of our bookmarks and get them printed with awareness information that you want to share with kids. We are sure that kids will love and retain these bookmarks within their books as long as they can. It is a great way of making your brand kid-friendly and parent-friendly at one go. 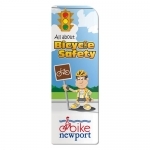 School Gifts - School authorities can employ customized bookmarks to educate kids about values of education. 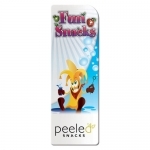 They can give these message printed bookmarks as individual gifts or team it with other promotional products for kids in Promo4kids.com. Custom bookmarks also make ideal gifts in gift favor bags handed during birthdays, weddings and books-themed baby showers. You can order these bookmarks before you meet your potential customers the next time. If you are unable to find what you should order, call us at 855-454-3786 (8AM to 6PM, Monday to Friday). If time permits, you can even write to us at info@promo4kids.com.